Although it was only 10 degrees, with a cold wind, overcast and damp mist in the air the morning didn't put me or the fish off. 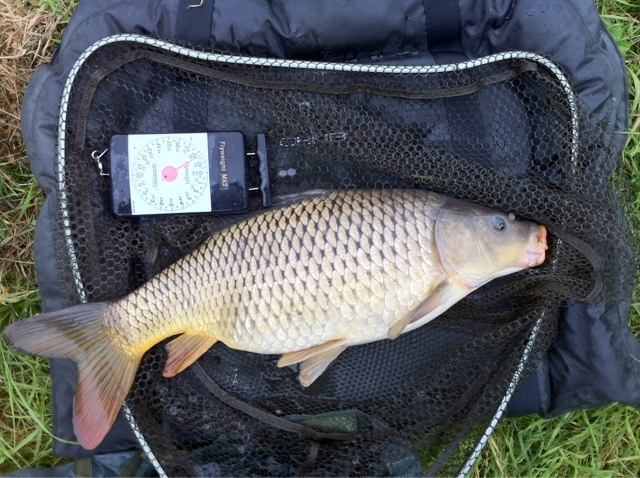 3 carp all 8lb ish, the common weighed 8lb 4oz and was in fantastic condition, all three caught on a big halibut pellet. 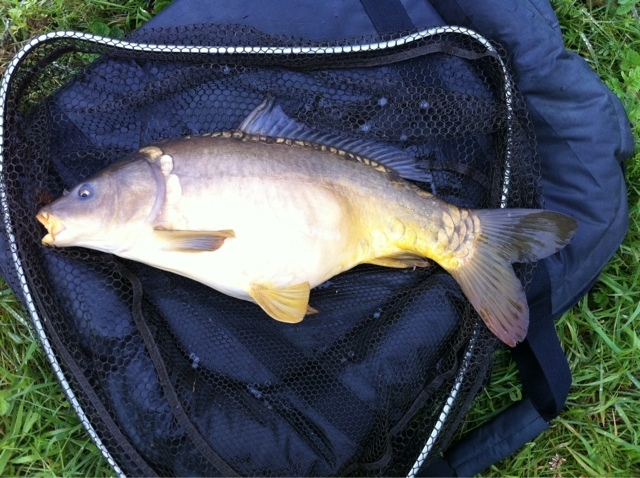 Caught steadily on the float with maggot as hook bait, perch, roach and a couple of small tench. The water levels are up at college pool but still far lower than normal. I see the committee have also been busy, the recent fallen tree has now gone, cheers chaps. 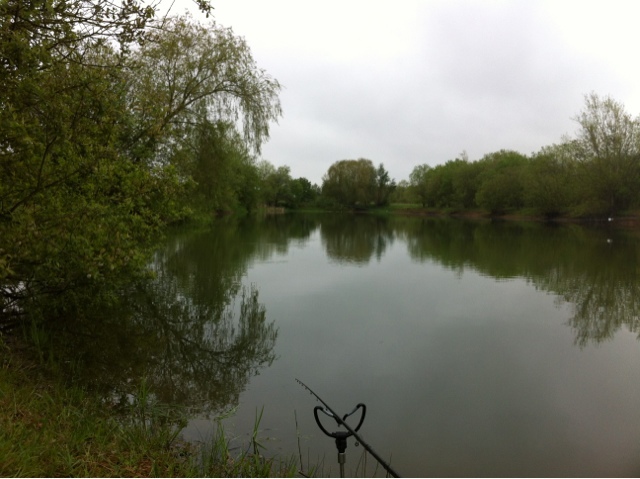 I removed the controller float as I thought that might have spooked them so with just the imitation biscuit on the end I cast amongst some weeds and waited, sure enough a carp eventually took the bait and I was into a decent fish, sadly the bend in the rod was short lived and I lost the fish, it felt big too. 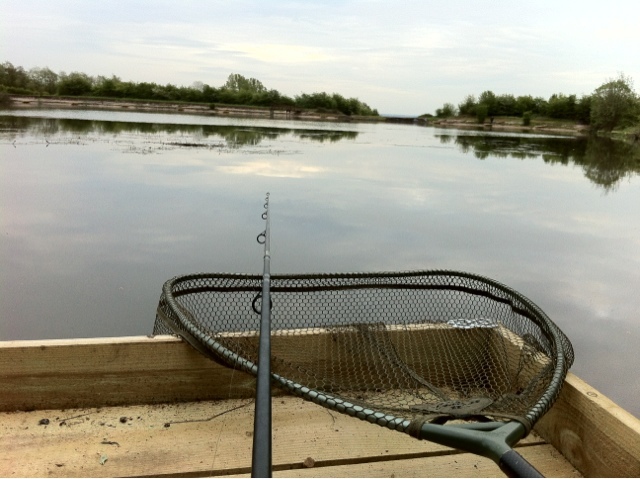 Maybe it wasn't that well hooked because as soon I felt some resistance the fish was off. 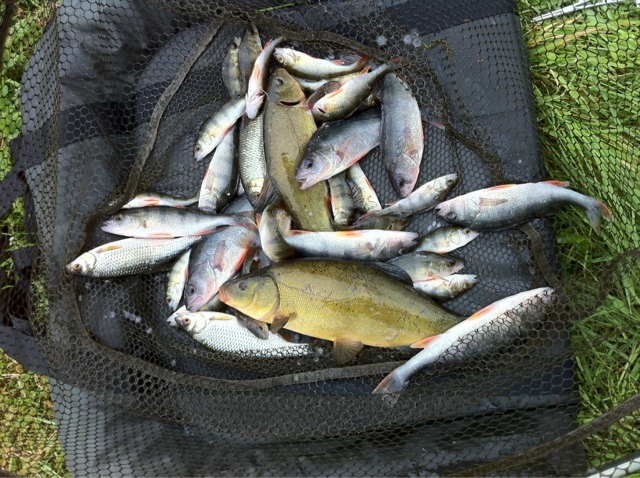 The carp were certainly active so roll on the warmer weather. 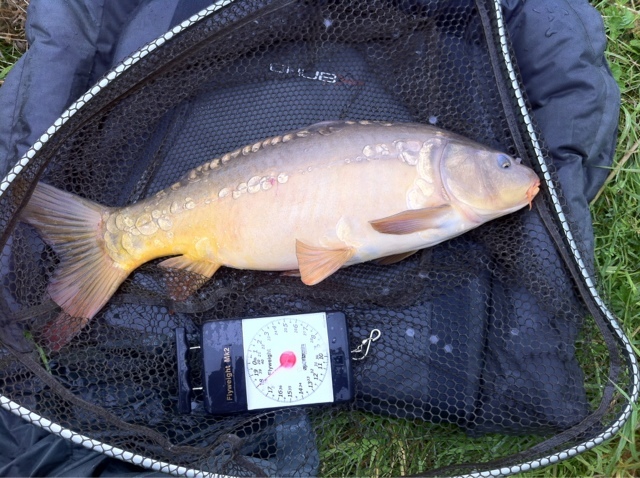 Keith any tips with the surface fishing at Snitterfield ?